Some people do a rain dance. Susan Nardyz does a customer dance. 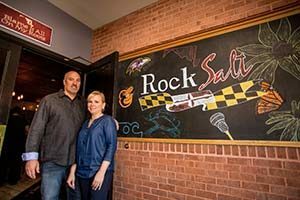 Since she and her husband, Lee, joined Joe Pasterkiewicz and Allison Blessing to open RockSalt Grille in Westminster, that dance seems to be working. The 10-minute-steady, sometimes even 1 ½-hour-long wait since the restaurant’s doors opened on November 7, confirms patrons can be patient for what has been dubbed by some as the RockSalt experience. It’s an experience that recently garnered RockSalt Grille one of five Best New Restaurant nominations in the state by the Maryland Restaurant Association. 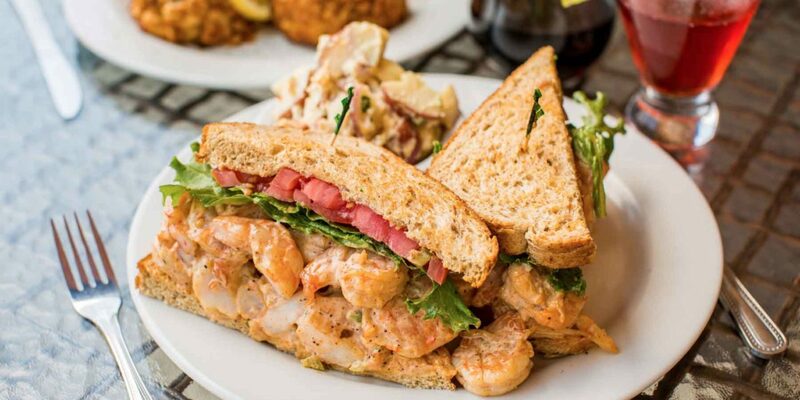 The RockSalt experience is more than the crab cakes, cream of crab soup, the seafood club and shrimp salad – the restaurant’s four biggest sellers. 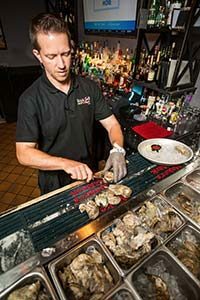 It’s also the raw bar with exhibition shucking, signature cocktails (like the Lemon Lavendar Martini, the Ravens Smash, the Blackeyed Shrub), and the restaurant’s Maryland pride ambiance. “Customers gotta feel it [the dining experience], even as they are walking out,” echoes Andre Gerald, house manager. Susan and Lee have ridden the restaurant roller coaster ride most of their professional lives and love the thrill of it. 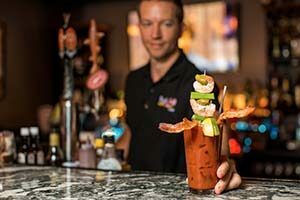 The original owners of Timeout Sports Grille, located at TownMall, they have fallen into what they describe as an ideal yin and yang restaurant management model. Lee is front of the house. He loves talking to customers, especially about oysters. He also navigates the restaurant’s finances and facility matters. Susan is back of the house. “I’m more behind the scenes. I focus on the menu and on hiring,” she explains. The whole place lures the family. Sons Tanner and Nick shuck oysters and work in the kitchen. RockSalt shuckers often pick and pair oysters for customers so they can compare the uniqueness that each oyster offers. Whether it’s the quick shot of brine and the abrupt finish of a Chincoteague oyster, or the firm white meat of a Sweet Petite from Martha’s Vineyard, patrons have at least eight varieties of oysters to enjoy. A particular point of pride for Susan and Lee is RockSalt’s oyster recovery partnership. 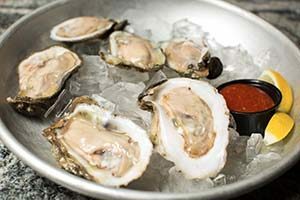 To date, the restaurant has shucked more than 80,000 oysters and given the shells back for recovery. The RockSalt experience is a blend of old traditions and the new. At least 20 of RockSalt’s current 80 employees worked for Susan and Lee at Timeout, including RockSalt’s house manager, Andre Gerald. Signature dishes and sauces are Susan’s original recipes. Come Fall, RockSalt will be able to boast about a cozy back patio. Designed to seat up to 40 people, patio patrons will have the options of warming up around a firepit and ordering drinks from a Crush Bar. Future plans also include opening a RockSalt in Annapolis and, eventually, in southern Florida, where business partners Joe and Allison live. For Susan and Lee, revitalization of a main street in a small town calls for collaboration rather than competition. Perhaps that explains their unique response to long lines on busy nights. Some people do a rain dance; Susan will continue her customer dance. 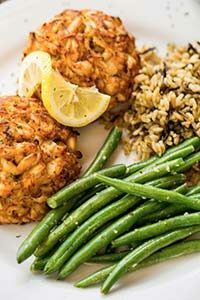 RockSalt Grille is part of the Shell Recycling Alliance, where “no shell is left behind,” the Oyster Recovery Partnership (ORP) website boasts. Natural oyster shell is the best material on which to raise new oysters and restore oyster reefs. The ORP developed the Shell Recycling Alliance (SRA) to save this limited natural resource. Every half shell collected by the SRA creates a new home for approximately 10 baby oysters. When the program launched in 2010, 22 restaurants signed on as members. Six year later, the SRA is now 300 members strong, and the largest shell recycling network in the country. In addition to restaurants and businesses, the SRA collects used shell from public drop sites in 11 counties. In 2016, over 30,000 bushels of oyster shell was collected from establishments in Maryland, Virginia, Washington, D.C. and Pennsylvania. The shell that was collected in 2016 will enable ORP to plant over 150 million filter-feeding oysters into the Chesapeake Bay. Since its launch, the SRA has recycled 100,000 bushels of shell.